One of the more illogical things I have talked myself into over the past years is a LinkedIn group for Poetry Editors and Poets. There are over 33,000 participants of which about 100 are vocal, and I moderate it. One of the items currently being discussed is “Supporting Poetry/ Poets”. I call it being a Good Literary Citizen. ANY donation you make will not only be appreciated, but TAX DEDUCTIBLE!!! Just make sure you keep a copy for when you do your taxes at the end of the year and it’s a win-win. There are other ways to be a good literary citizen that are non-monetary, and you will set a wonderful example for people who may be new to the crazy writing life. One night my husband and I drove 22 miles to read at a local venue. We were the only two people who showed up, along with the host. I clapped for my husband. He clapped for me. We both clapped for the host. Then we drove 22 miles home. This is a long-standing venue that used to be well attended. Of course we were disappointed. Normally we read our poems to each other in the living room and I can wear pajamas. IF there are readings near you, try to attend when you can. You will be able to practice at the mic. Poets you like may be there and you’ll have a chance to talk to them. You will help keep attendance up. All it costs is parking. (NOTE: if the reading is at a coffee house, please order a drink, and please tip the Barista. At a small book store, buy a book. The owner is letting you use their space and is often supplying the snacks; please be generous). 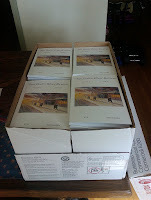 Those of us who bought forty, fifty, a hundred of our books at discounts from publishers probably have boxes of books somewhere in the house. Someone we know is teaching a poetry or creative writing class, and is asking for donated books. Sending one book will cost postage. You will win the never-ending gratitude of the teacher. You may have an effect on a student who will remember your kindness and your poetry their whole life. Someday they will pay it forward. Same with Contributor Copies of journals you are in. Do you need two copies? Do you need three copies? Some bookstores sell journals. See if your local bookstore would like them. See if your library or nearby school might want them. Some poets do send them to relatives and they won’t have enough copies. See if they’d like your extras. You only need one copy for your “Wall of Fame”. If there’s a poem you like in a journal, try and find the poet on social media. Connect with them and let them know how much you like their work. They may offer to send you a copy of their latest book, they may not, but you will have made them so happy. Years ago we read a poem by Ken Meisel in a journal. I found him on FaceBook. We are still friends to this day. (NOTE: if you can’t find them on social media, see if they have a website. Almost every website will have not only a list of upcoming readings, but a “contact us” tab). It is worth some time to do this. Someday you will get an email from someone who saw your work and loved it. It feels good. Whatever you do, check your ego at the door. The idea is to be a good literary citizen, not an egomaniacal, narcissistic person who makes other people feel stupid. If you are asked to blurb or review a book, be thankful. Try to do it if you can, and don’t take three months to do it because you are so busy. If you can’t do it, be apologetic. You don’t need to include a list of all the important literary commitments keeping you from a 2-hour blurb. If you are asked to feature, be thankful. Ask how much time you have and don’t go over. If you put an event on social media, make sure it tells other people how long they have to read too. There are poets who are great, but who I’ve heard at readings and conferences, and they are such arrogant pigs, I will never spend a penny on anything they write. I won’t say who they are, but I don’t want to be like them. I don’t want you to be like them either. You can have every award in the world but you can still be kind. You know that. Before this weekend is over, do something good. And buy a lottery ticket too. You never know!!! Tobi Alfier's most recent collection of poetry is Somewhere, Anywhere, Doesn't Matter Where. 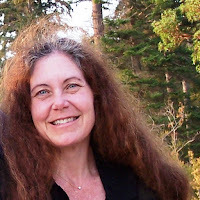 She is also co-editor with Jeff Alfier of the San Pedro River Review. Don't miss Tobi's columns on the craft of poetry: insert your email address in the "Follow By Email" box to the right of this article and you'll be notified every time a new article appears.